If you’re keen to include bite-size practice activities for Year One and Year Two at the start of your lessons, then these are the perfect resources for you. Take a look and get inspired. 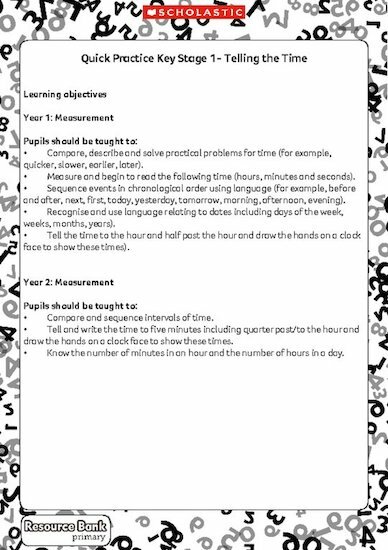 They’ve even got complete learning objectives taken from the National Curriculum.